This article was written by Nishka Tyagi, a student of ILS Law College, Pune. India has seen its fair shares of crimes, cases, incidents, suicides related to drugs with people ranging from mere teenage age to aged men and women. It has been one of the most problematic issues prevailing in the 20th century that needed to be controlled and combatted with a proper governing act. 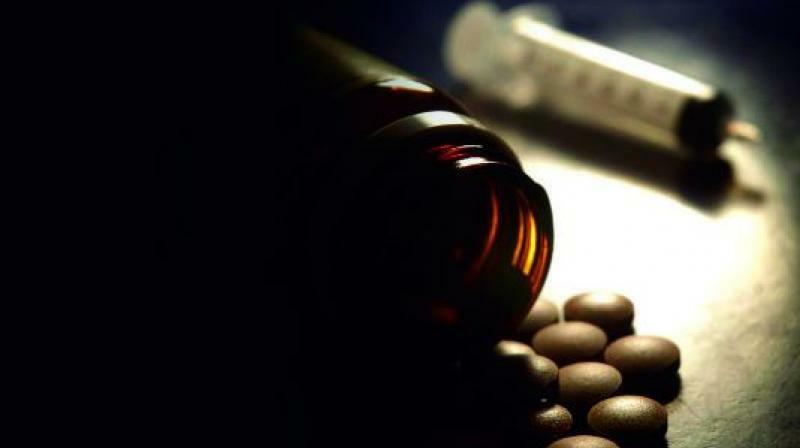 The Opium Act 1857 and The Dangerous Drugs Act 1930 were introduced with the same view but didn’t prove to be very effective and thus after lot of deliberations and discussions the first proper Act, The Narcotics, Drugs and Psychotropic Substances 1985(hereinafter referred to as the NDPS Act) was passed. One of the reasons for the passing of this act was to fulfil its responsibility as per the Single Convention on Narcotic Drugs 1961, Convention on Psychotropic Substances 1971. The Act focuses on problems related to trafficking, consumption, abetment, proper procedures for seizure, arrest, eligible authorities, the commercial quantities of drugs and essential narcotics for medicinal use and so on. Stringent penalties have been set for every offence with prison time varying from 6 moths to 30 years in Chapter IV of the Act and even death penalty in some case as per section 31 of the Act. The Act gives some relief to the accused in the form of immunity from prosecution, pardon, reduction in sentence. The act, which completed 30 years in 2015, has also seen three amendments since its inception, that is in 1988, 2001 and latest being in 2014. Data from Narcotics Bureau Report from 2015 to February 2016 shows that the number of cases related to seizure of various drugs was 15814 and in 2014 were 13251 and 330 people were arrested in 2015 to February 2016. Last available data related to percentage of people using drugs was in the survey of 2001-2002 with 73.2 million people were users of drugs and alcohol where 26% and 22% people were addicted to Cannabis and Opium respectively. But the government is taking efforts in training programmes, drug kits, laying down proper procedures and including sections like section 4 where the act constitutes certain bodies for better implementation of the Act and 71 where it may put up addiction centres and allow other organisations to do so too. So the question that arises is that even after encompassing all these provisions, has the Act been successful in the past three decades in reducing or even combatting with the increasing drug relate issues in India? Did it prove to be effective enough in curing this evil of drug abuse even to some limit? The NDPS was like a breath of fresh air at a time when there was a dire need for a proper legislation for the drug related crimes that were escalating in India. The Act defines almost every drug that would constitute as a narcotic drug or a psychotropic substance like opium, ganja and cannabis and many more along with definitions like addict, board, manufacture, narcotic drug, essential narcotic drug etc. It also gives the direction for the Central government to assign a Narcotics Commissioner, to set up a Narcotic Drugs and Psychotropic Substances Consultative Committee and to fund a National Fund for Control of Drug Abuse. Various offences have been set as per the Act like trafficking, harbouring consumption, disposal by cultivators and stringent penalties are granted for those too which range from 6 months to 30 years and it also includes the option of death penalty at the discretion of the courts. It through amendments tried to cover the drawbacks like turning the punishments a little less strict incorporating essential narcotics and allowing other organisations to open de-addiction centres etc.. Established bodies like the Narcotics Drugs Fund, Narcotics Commission and Narcotics Control Bureau to achieve the goals and duties set by the NDPS Act. But still the act hasn’t been able to results that should’ve been seen after 3 years of its inception. Five-time (455%) increase drug related crimes from 2011 to 2013. Mizoram, Punjab and Manipur have the highest number of seizures in 2011 probably due their boundary too close to drug trafficking one like Golden Triangle and (Laos, Myanmar, Thailand) and Golden Crescent (Pakistan, Afghanistan and Iran). By sending ever consumer of drugs to prison, where 63% of prisoners have history of drug abuse, nothing but overcrowded prisons, weak conditions and increase exposure with other criminals will be the result which again keeps everyone running in circles of filing cases and going to prison and increase in crime rate. Policies related to trafficking and smuggling need to be made stricter as the number of people arrested for trafficking in 2015 was 32,069 compared to 27,455 in 2014.Special precautions and measures should be taken for children and women who have fallen victim to this evil of drug abuse. Every state has to be dealt with differently as data collected from each state is very different and has different issues. The government needs to look at other countries and change their laws accordingly with the changing times, because if even after 30 years no positive result is visible then there is a need to revise and change the laws accordingly if the numbers from the different statistics have to be brought down. It will be fair to conclude that even at thirty, the NDPS Act seems still young with the act to change and mould itself according to the present time by taking risks like European countries or becoming efficient in implementation and improving the provisions. The act came into existence in order to fulfil India’s obligations under international law, or in other words US’ bidding. There were no incidences of drug related crimes within Indian territory prior to the enactment of the act, and the act was not a ‘breath of fresh air’ in any manner whatsoever as has been stated in the article. Infact, it is the enactment of this act that has led to this present drug debacle across state borders, and has led to the increase in demand for dangerously addictive drugs such as heroin and methamphetamine. It has now been seen all across the world that drug related legislations do not help the cause whatsoever, and infact only serve to make it worse. The only places which have seen a reduction in drug use overall are the locations which have decriminalised possession and individual consumption. To create blanket prohibitive legislations, without proper knowledge as to the nature of the drugs and its effects, only gives rise to underworld operations being carried out. Prohibition does not reduce the demand, and on the contrary increases it, due to its now manufactured elusive nature.